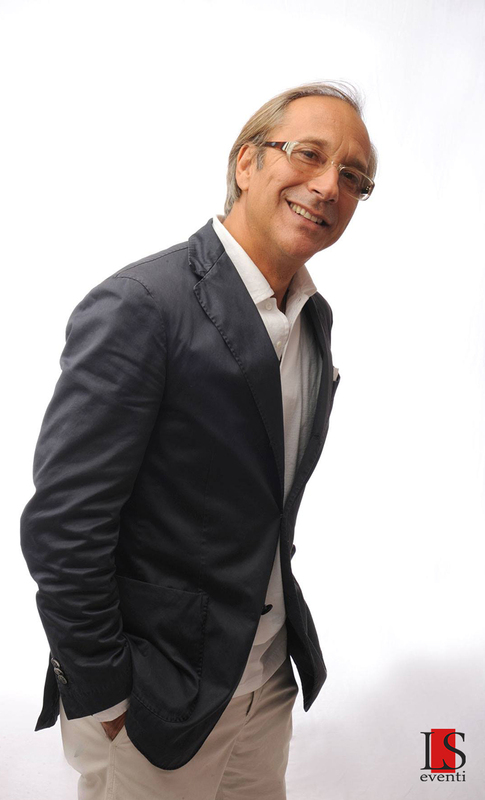 After earning a degree in philosophy, Marco Balestri became a radio presenter for the RAI in the 1980s. He entered Fininvest as the author of “M'ama non m'ama”, “W le donne” and “Il gioco delle coppie” presented by Marco Predolin on Italia 1. He is also the author of the morning program “Facciamo un affare”, which sees Iva Zaniccchi as a presenter for the first time. In 1990 he won the Telegatto award as author of the program “Una rotonda sul mare”; he received the award again in 1994 for the best prank on “Scherzi a parte”. In 1990 he presented the “La verità” quiz show on Canale 5 and in 1994 he conduced the first edition of “Bravissima”, a program designed by Valerio Merola for Italia 1. In 1998, 1999 and 2000 he presented “Il Brutto Anatroccolo” together with Amanda Lear and then many other programs such as “Candid Angel's” with Samantha De Grenet and “Candid Camera Café" with Alessia Mertz. Between 2002 and 2005, he worked with Alberto Castagna on the show "Stranamore". He is capable, intelligent and ironic presenter and author and currently hosts a daily program “Molto Personale on Radio101.